Local manufacturers are relinquishing jobs daily as they cannot keep up with the demand for imported goods that retail at often, significantly lower prices. There is a strong misconception in South Africa that locally manufactured goods cannot compete with the perceived” better quality” of imports. As lower priced imported products may be appealing on the surface, the quality and production processes of these goods are often not of the same high standard, but more importantly they are not fit for the South African built environment conditions. The plumbing sector is in trouble. 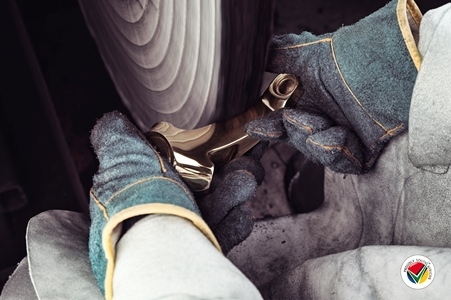 During the last six months of 2018 it is reported that an average of 25% of finished goods in the brassware plumbing sector was locally manufactured as opposed to 75% that was imported during the same period. One of the top priorities of government is to embark on a Supplier Development Programme, which is envisaged to create jobs both upstream and downstream of the finished product. If South Africans continue to support products manufactured outside of its borders, government’s envisaged programme will be yet another pipe dream. The unemployment rate is currently sitting at 27%. Manufacturing has a multiplier approach of 5 – 8 times. This means for every 1 person that is employed, 5 – 8 people are directly empowered and therefore, social return vs. private return is outweighed by 3 – 1. “This is something that is close to our hearts. As a local manufacturer of Cobra and Vaal, we have been in South Africa for 70 years, providing jobs and investing in the growth and development of our citizens”, says, Natie van der Westhuizen, Chief Operations Officer LIXIL Africa. “We implore all South Africans to buy local as we believe it is the responsibility of each individual be it public or private to insist on local in order to increase the demand. This will result in better prices of local products, increased job opportunities and together this will accelerate South Africa’s GDP growth and therefore result in a better South Africa for us all!” concludes van der Westhuizen.